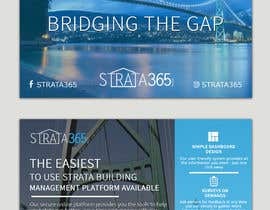 - Blue theme, white text, logo at the bottom center. Please submit designs and feedback will be shared. #35 - Thank you for my favorite design! #46 - Love the design too, I will chat with you again soon. #35 , #46 are both really nice designs, hard to choose. Thank you both and to all the other designers who read the details and submitted designs. The designs are looking good! 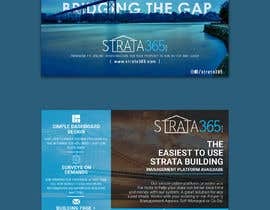 Not too dark for the main focus, this won't print well - this is the main concern - also the site design is a medium blue like the demo design in the project files. I'll check again later today. Please check my entry #47. Hope you like it. Thank you! Thank you for the designs and comments - key points at this point - not too dark, the demo example in the project files should help. You can also see, strata365.com for some color ideas - a unique bridge design or a stock photo of the "Lions Gate Bridge Vancouver" can be used - "BRIDGING THE GAP" is the main text and I may add a subtext below for the final edit. 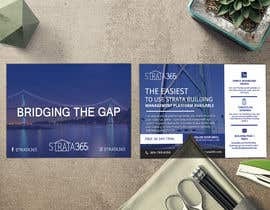 Example: "Providing the online infrastructure for your property to run better and easier" A clean design is a must as this will be printed and also used for Facebook. Thanks! Please don't close it early, I am working on it. I am sure you'll like my designs. Thank you! 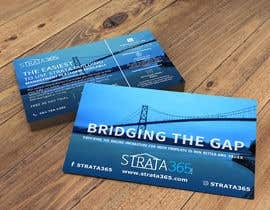 Added in project files - only the logo - the bridge design should be unique or you can use a stock photo of the Lions Gate Bridge (Vancouver) as a background image. I'm looking for something unique/catchy. A clean modern design. 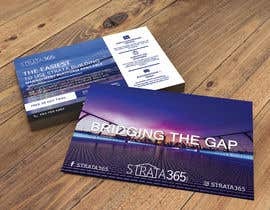 To clarify: The main focus is a bridge type design along with the text - the concept is that Strata365 "bridges the gap" in the service we provide.